CORTLAND -- William L. Kutzke, 91, formerly of 1324 Miller Landing, died Wednesday, May 17, 2000, in Cortland Quality Care Nursing Center. He was born Jan. 11, 1909, in Elyria, a son of the late Louis and Julia Heller Kutzke, and lived in this area since 1980, when he moved from Toledo. Mr. Kutzke was owner and operator of Modernistic Decorating Co. in Toledo for 50 years before retiring in 1980, and also owned and operated QuickBrick in Toledo for 10 years. A member of Emmanual Lutheran Church in Warren, Kenobia Temple A.A.O.N.M.S. in Toledo, Scottish Rite - Valley of Toledo, Lotus Masonic Lodge of Toledo, he enjoyed reading, his summer cottage on Lake Erie and yard work. Survivers Survivors include his wife, June M. Lloyd Kutzke, whom he married Aug. 26, 1939; a daughter, Mrs. Garland (Ruth) Bradshaw of Howland; a brother, Carl Kutzke of Toledo; two sisters, Amanda Gill of Toledo and Bertha Cieslikowski of Desert Palm, Calif.; and one granddaughter. He is preceded in death by five brothers and a sister. The funeral service will be held at 11:30 a.m. Saturday at Emmanuel Lutheran Church, where friends may call one hour prior to the service. Burial will be held at Hillside Cemetery. Material contributions may be made to the church at 140 Cherry Ave. N.W., Warren 44485. The Lord is my sheppherd; I shall not want. He maketh me to lie down in green pastures: He leadeth me beside the still waters. He restoreth my soul; He leadeth me in the paths of righteousness for His name's sake . . . Yea, though I walk throught the valley of the shadow of death, I will fear no evil: for Thou art with me; Thy rod and Thy staff they comfort me. Thou preparest a table before me in the presence of mine enemies: Thou anointest my head with oil; my cup runneth over . . . Surely goodness and mercy shall follow me all the days of my life: And I will dewll in the house of the Lord forever. 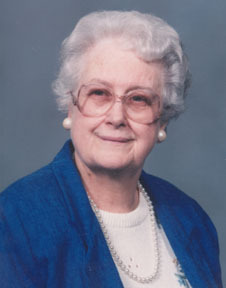 . .
Ruth H. Kutzke, 76, of Taylor Ave., Moline, died May 7, 2001, at her residence. She was born June 26, 1924, in Toledo, to William (Evelyn A. Draeger) Uerkwitz. She was employed as a bookkeeper most of her life. She was an active member at St. Lucas Lutheran Church serving as a past board member, active in the church rummage sale, Feed Your Neighbor Program, Old South End Lutheran Ministry Tutoring Program at First English Church, and was a past board member of Luther Home of Mercy. She and her husband enjoyed dancing, cards, bowling in the Senior League at Lido Lanes, and her Libbey High School Sorority Group. She was very active in the Southside Senior Center. She married [brother of William Louis Kutzke] Carl J. Kutzke October 11, 1947, in Toledo and he survives. Also surviving are daughters, Deborah (Gary) Constantine, Edon, OH, Wendy (James) Wallace, Monclova, and Gail (Kent) Swartz, Martin; grandchildren, Julie (Jon) Queen, Bryan, Jennifer Constantine, West Unity, and Neal Grooms II, Toledo; great-grandchildren, Alexandria Queen and Dustin Rice; brother, Dale (Pat) Uerkwitz, Toledo, and sister, Joyce (Richard) Maxfield, Northwood. She was preceded in death by her grandson, Steven Ward Constantine. Friends will be received in the Witzler-Shank Funeral Home, 701 N. Main St., Walbridge (666-3121), from 2-9 p.m. Wednesday, where funeral services will be Thursday, May 10, 2001, at 10 a.m. with Pastor Martin Billmeier officiating. Burial will be in Lake Township Cemetery. Those planning an expression of sympathy are asked to consider St. Lucas Lutheran Church, 745 Walbridge Ave., Toledo, OH, 43609. Wanda (Steinke) Kutzke Hoffman, age 91, of South Toledo, passed away peacefully in her sleep at home on Thursday, May 17, 2001. Wanda was born April 23, 1910, in Germany, and immigrated to the United States in 1922. She was the daughter of Andrew and Julia Steinke. Mrs. Hoffman worked at the former Roche Memorial Hospital. Wanda's greatest love was for that of her family and friends. She enjoyed being a host at gatherings and loved for people to have a good time in her home. She had a weak spot for any stray animal and would open her heart and home to them. Wanda was preceded in death by her husbands, Michael Kutzke [brother of William Louis Kutzke] and Henry Hoffman; son, Ronald Kutzke, and great grandson, Richard Hienze. Surviving are her sons, Leonard (Carol) Kutzke, Ottawa Lake, MI, Marvin (Diana) Kutzke, Erie, MI; grandchildren, Kay Kindice, S. Euclid, OH, Beverly (David) Kish, Ottawa Lake, MI, Pamela Shammo, Luckey, OH, Michael (Lena) Kutzke, Toledo, OH, Anne (Roderick) Davis, St. Joseph, MO, Kathryn (Christopher) Lowrey, St. Peters, MO, John (Laura Thanasiu) Kutzke, Toledo, OH; 20 great-grandchildren; 1 great-great-grandchild, and her special friends, Robert and Betty Steiger, and Nev Reid. Friends may call at the Bersticker-Scott Funeral Home, 3453 Heatherdowns Blvd. at Byrne Rd., Saturday from 4-9 p.m. and Sunday from 2-9 p.m. Funeral services will be held Monday at 10 a.m. in St. Lucas Lutheran Church, 745 Walbridge Ave. with interment to follow in Forest Cemetery. The family suggests memorials to St. Lucas Lutheran Church. Carl J. Kutzke, 81, of Moline, died November 1, 2003, at the Genoa Retirement Village. He was born in Lambertville on December 14, 1921. He retired in 1983 as a tool and die maker with Dana Corp. He enjoyed working at all activities at St. Lucas Church, Margaret Hunt Senior Center, Lido Lanes and Moline Lanes. He was an avid billiards player and enjoyed bowling, golfing, dancing and playing the piano. 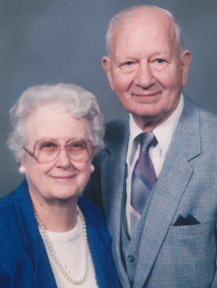 He was preceded in death by his wife, Ruth on May 7, 2001; his parents; grandson, Steven Constantine; brothers, Louis, William, Albert, Paul, Michael, and sister, Emma Hischka. Surviving are their children, Deborah (Gary) Constantine of Edon, Wendy (James) Wallace of Monclova and Gail (Kent) Swartz of Martin; grandchildren, Julie (Jon) Queen of Bryan, Jennifer (Joshua) Pinkham of West Unity and Neal (Kris) Grooms of Holland; great-grandchildren, Alexandria and Jordan Queen, Dustin Rice and Steven Pinkham; sisters, Amanda Gill of Columbus, Bertha Cieslikowski of Palm Desert, CA; sister-in-law, June Kutzke [Mrs. William Louis Kutzke neé June Marie Lloyd d/o Marshall Wesley and Rachael Marie (Navarre) Lloyd]. Friends will be received in the Witzler-Shank Funeral Home, 701 N. Main St., Walbridge (419-666-3121) from 2-9 p.m. Tuesday, where funeral services will be Wednesday, November 5, 2003 at 10 a.m. Burial will be in Lake Twp. Cemetery. Those planning an expression of sympathy are asked to consider St. Lucas Lutheran Church.